Getting tax relief on pensions means some of your money that would have gone to the government as tax goes into your pension instead. You can put as much as you want into your pension, but there are annual and lifetime limits on how much tax relief you get on your pension contributions. 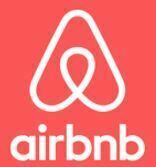 Airbnb Income – How Will It Impact Me? If you are self employed you can build up your pension contributions record to ensure you qualify for the full state pension of £155.65/ week (16/17 tax year) by paying class 2 NI contributions. Class 2 NI is currently £2.80/ week. The pension age this tax year is 65 for men and 63 for women. This will increase to 68 for both sexes. You can calculate what your state pension age will be on the SPA calculator on GOV.UK.